The tree fruit industry is facing the multiple challenges of climate change, the spread of exotic pests, the need for reduced chemical use, and the desire to improve fruit quality. To meet these challenges the development of improved varieties is more vital than ever. Yet, fruit tree breeding remains a slow, arduous process that has changed little over the centuries. Limitations include long juvenility periods, significant field costs, and yearly limitations on flowering and fruiting related to chill and heat requirements. Currently, many crops are produced in a monoclonal situation, ie., relying on one principal variety. This situation lends itself to vulnerability of pest outbreaks and the vagaries of weather. 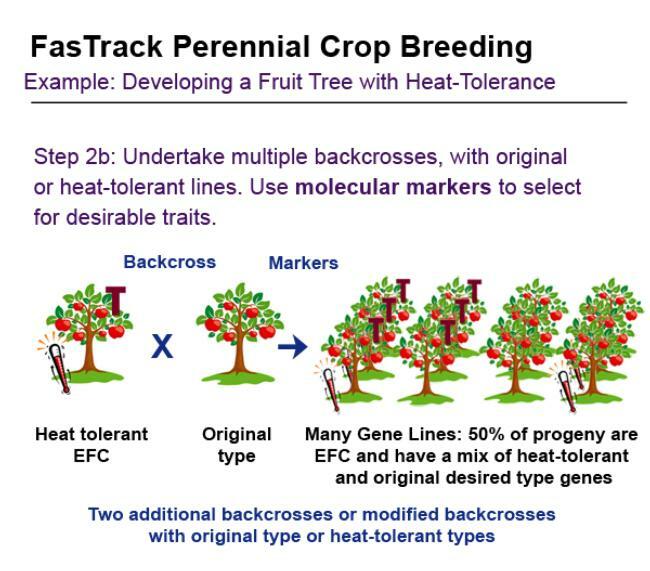 FasTrack, a system which shortens the breeding cycle, addresses these limitations and vulnerabilities. FasTrack ulitizes genetic engineering strategies, but the product released for commercial use is not a genetically modified plant. Thus, this technology has the potential to integrate into existing breeding programs. 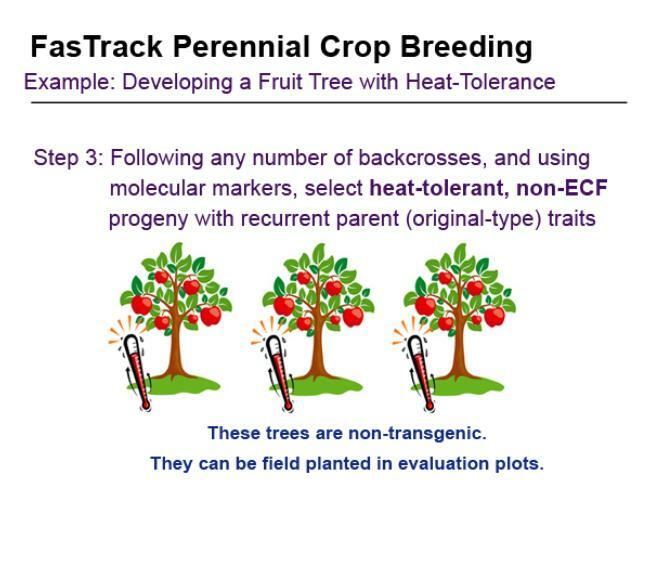 Integrating the FasTrack Breeding system into convention breeding programs will result from the more rapid and less costly development of improved tree fruit varieties. 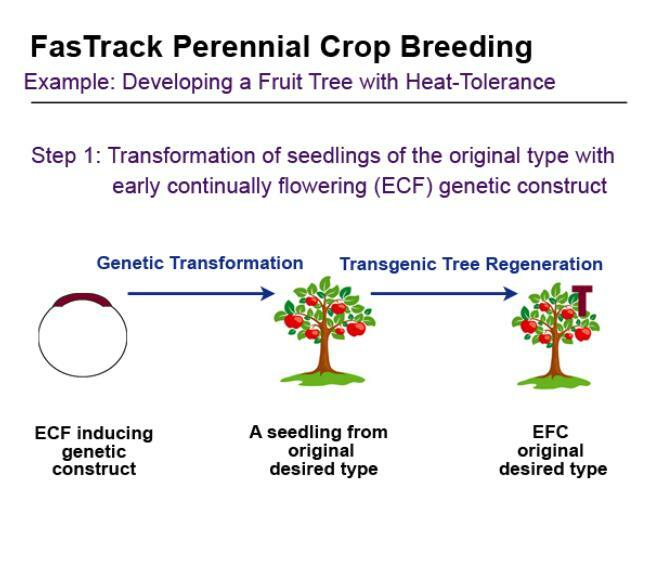 The greater speed of variety development will allow breeding programs to move rapidly to develop fruit for consumption that is healthful, requires less pesticide use and is adapted to the environmental changes that affect production. This technology has the potential to revive and expand tree breeding in general. 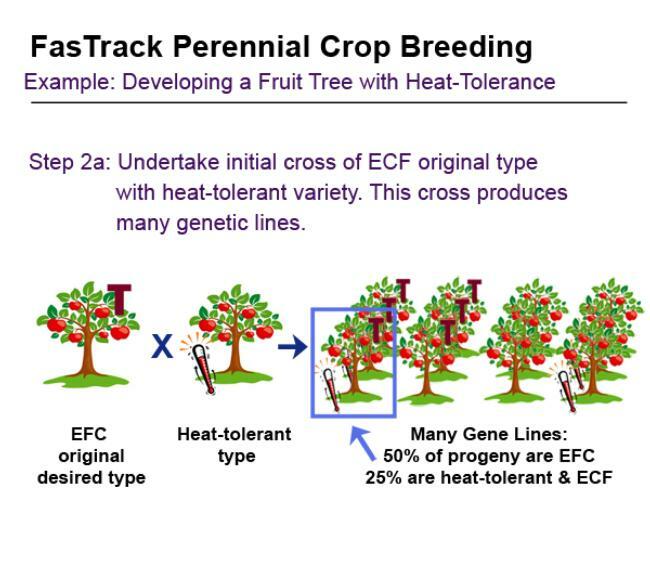 The SlideShow below provides an example applying FastTrack technology to a fruit tree breeding program.